First Lady Melania Trump visited Philadelphia on Wednesday to talk about about drug abuse and its effect on newborns — especially those born addicted to opioids. First lady Melania Trump toured a hospital's neonatal care unit Wednesday to learn about the treatment given to newborns suffering from opioid withdrawal, after she was initially delayed by mechanical issues on her plane. She was introduced by Health and Human Services Secretary Alex Azar, who said the Trump administration's plan to fight the opioid epidemic was "comprehensive and driven by the best science we've got." 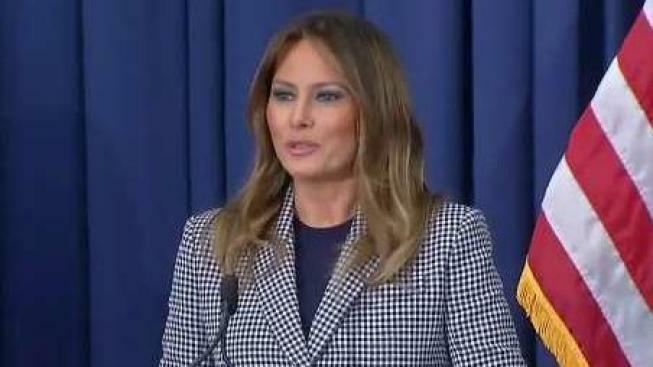 First lady Melania Trump is encouraging technology and social media companies to provide more opportunities for children to share ideas on how to be good citizens online. She began her remarks by saying "sorry for a little delay." 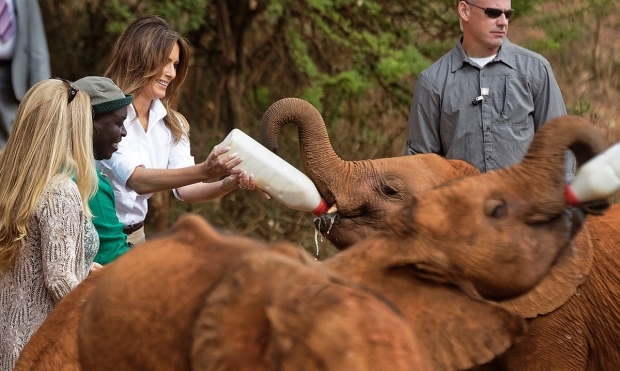 "As the caretakers of the next generation, it is our responsibility to protect our most valuable and vulnerable, our children," she said. After touring Jefferson's neonatal care until, the first lady was also going to visit with mothers who are in addiction treatment in a program that allows them to have their children with them. According to TV reporters traveling with the first lady, the original flight was in the air about 10 minutes when smoke filled the cabin. A member of the crew handed out damp washcloths for passengers to put over their mouths, and Secret Service agents rushed to the front of the plane. It was not immediately clear what caused the problem on the aircraft, a Boeing C-32A identified as "Bright Star." 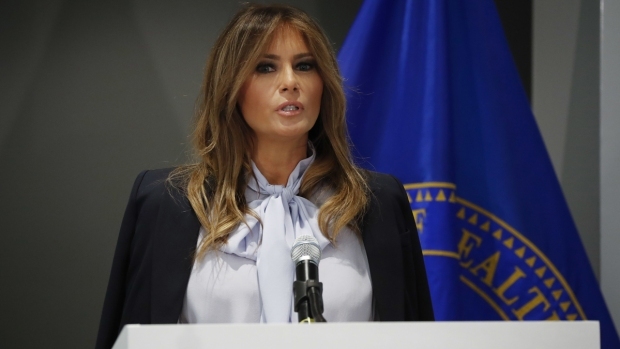 The visit was one of a number of stops planned to promote her ``Be Best'' campaign, which focuses on issues affecting children, including the importance of healthy pregnancies.